With busy lives, it can be hard to find time to volunteer. However, the benefits of volunteering are enormous to you, your family, and your community. Volunteering is a wonderful way to meet people and make new friends, It can help you gain confidence, new skills and reach out to the community. Volunteering and helping others can help you reduce stress and keep you mentally stimulated. It can increase your happiness and wellbeing and at the same time you help others. 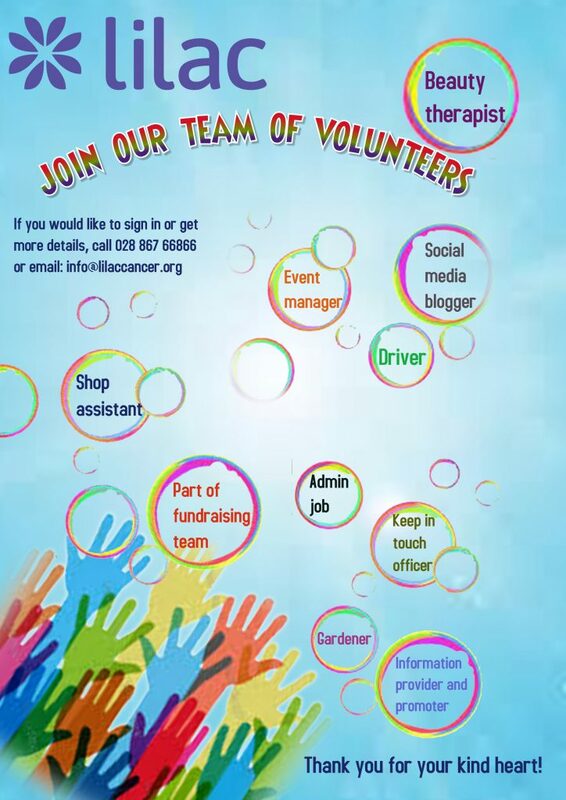 Lilac provides support to their local Mid Ulster community through their services, our work is achieved through partnerships and collaborations with many individuals and organizations. Volunteers bring our programmes to life.